We adore these super funky shorts. 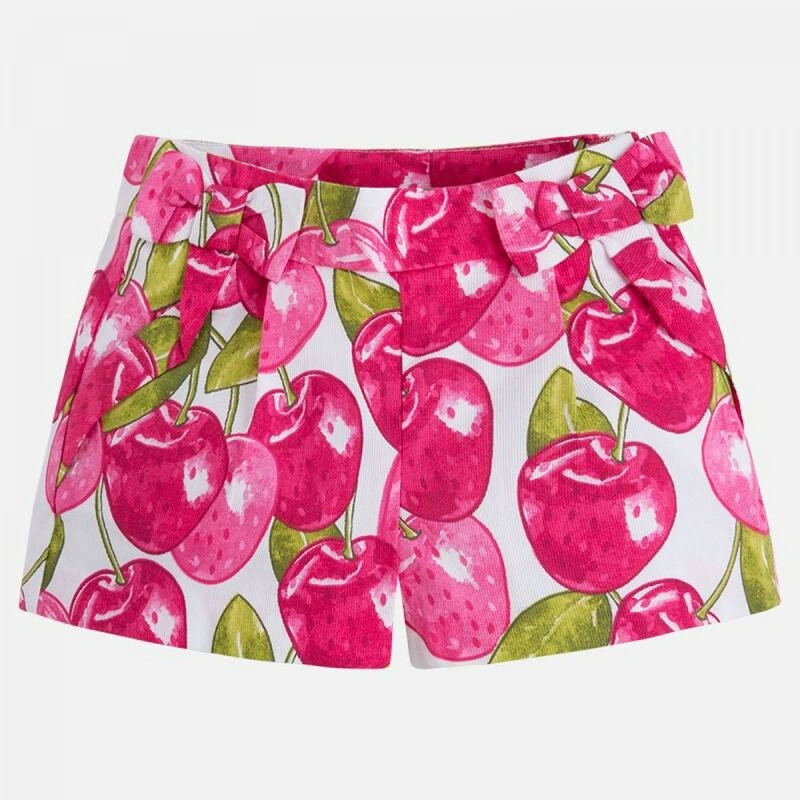 In a vibrant cherry print, with pockets, a side fastening zip and an adjustable waist, they're going to style up any outfit, all summer long! The vibrant cherry tones and retro motif move perfectly with the easy beats of the summer. You can team them up easily, and the very feminine design will have her looking stunning.